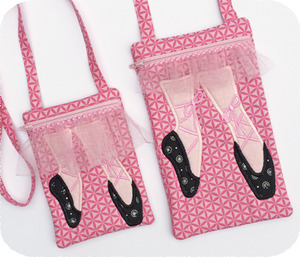 Our ballet shoe purses are perfect for your little ballerina. They're made completely in your hoop. Our purses are fully lined with no exposed seams inside. The purses finish to the approximate hoop size. The tutu adds extra cuteness. 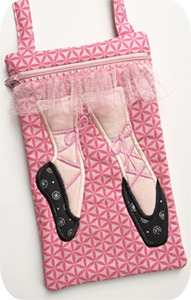 The tutu is stitched with decorative stitches.